Hello, Susie, and welcome! Can you tell us a little about you and your writing? Sure. I’m married with three kids and as well as writing I teach creative writing at Richmond Adult Community College. I used to run four courses, but since getting published, I now run two: Creative Writing for Beginners, and Critical Workshop, which is for more advanced writers. I used to write children’s stories, which I did when I lived in Rome and when my children were little. Two of those stories have since been published in Italy, which is lovely. 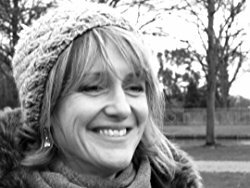 About twelve years ago, when we moved to London from Rome, I took a creative writing course at Richmond College called How To Write a Novel in a Month, taught by the fabulous Sara Bailey, author of the novel, Dark Water. That course taught me to write without fear, and to stop criticising myself constantly. It was all about producing quantity not quality and I thought – ah! Quantity I can do! From there I went on to study for an MA in creative writing at Kingston University and started teaching at the college, just one course a week at first. Ten years later, in 2016, my debut novel, VALENTINA, was published by a small independent publisher called Blackbird Digital Books, run by the extraordinary luminary, Stephanie Zia, and it went on to be a success both critically and commercially. 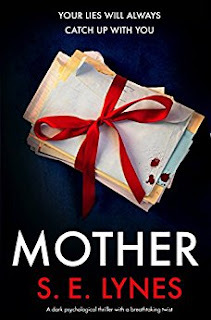 I then signed a three-book deal with Bookouture and they published MOTHER in November, 2017. 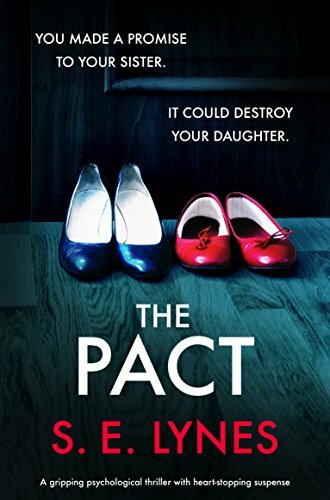 My third novel, THE PACT, is out very soon - 27th February 2018. 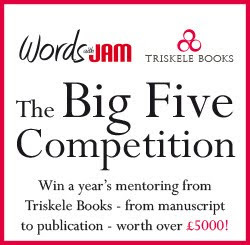 You had huge success last year with your first novel with Bookouture, MOTHER, how did that feel? After VALENTINA, MOTHER was another level due to Bookouture’s immense standing on the publishing world stage. It felt great, just great. The thought of the story reaching and affecting so many people is surreal and joyful and strange and wonderful. The best bit by far is having readers contact me to tell me that they were utterly absorbed in the story and that the story stayed with them for a long time afterwards. I particularly love it when they notice the writing because I spend a lot of time trying to make the sentences flow by reading my work aloud and I try to use language in a beautiful way if I can, without resorting to purple prose, so that the reader will enjoy the whole experience of the book, not just try and guess ahead, which always seems to me to be a shame – as a reader I like to simply immerse myself in the story and the writing and let myself be carried forward. It’s important to me not just to tell a story but to tell it in an original way if I can and to explore larger themes through smaller specifics. A friend of mine who is a broadcaster was going to interview a very successful businessman. As she left, she mentioned that his success wasn’t the most interesting thing about him, it was that he had sought out his birth mother and … something had happened, which I can’t tell you here for fear of spoilers. His story was a very happy one but I write psychological thrillers and am bound always to ask, what if it hadn’t worked out so well? This friend also told me about a friend of hers who had found out he was adopted when he discovered a letter in his mother’s handbag. It was from a convent and the letter began: we write to inform you of a baby boy, born only yesterday. And I used that line in the book. You have a background in journalism, is that a help or hindrance in novel writing? I have a background in radio journalism as a features programme maker for the BBC. The main thing about that job is getting the opportunity to talk to people from all walks of life – from anthropologists to wild boar farmers, from ice cream makers to old ladies who make scarves from dog hair. People love to be asked about what they do, as I am loving answering these questions! I think in terms of my writing, my background provided me with a great many people and stories. I have also lived in several countries and have met an awful lot of people in my life from backgrounds very different to my own. I really do love meeting people. I have no real interest in status or wealth or any of those things – I like to find out what makes people tick and have realised that none of us really know what we’re doing, or whether we’re doing it right; we’re just muddling through. I try to present characters who are as complicated and flawed as the rest of us. The thing that draws me to this genre is that, at its best, it explores the dark space between what we think we know about the world and the world as it actually is. That dark space terrifies me. How do any of us know that our perception of even the simplest event is anywhere near accurate? You have only to hear two people relate the same story – how differently they tell it! Sixty percent of communication is non-verbal – we can sense tension, atmospheres, dishonesty, hate, attraction … how? That something hovering outside of our senses. I love to explore characters and situations where the truth is in that place, somewhere just out of reach. I would quite like to write a comedy of some kind, maybe about modern love in all its forms or about parenting in this paranoid world of social media we live in. I use humour in day to day life to cover up for my own pretty impressive social awkwardness and anxiety. I like to send myself up after I’ve performed some heroically painful interaction such as explaining my entire life to the waiter who is just trying to take my coffee order. I’m not sure who said this but art is a process of holding up one’s humiliations to the light and making them shine. I have so much personal material of this type. What it means to be a human being, how difficult it is to be a human being. The need to love and to be loved. Love, both platonic and romantic. Trust and betrayal. Friendship. The outsider, always the outsider – why is the outsider so popular in fiction? Because we all feel like the outsider at least sometimes. I’m interested in the different ways we are mad and believe that we all are, it’s just a question of how – and that this is why your best friends make you feel sane, and like your reactions to things are perfectly normal. This latest theme underlies the book I’m working on at the moment. Your follow-up novel, THE PACT, is out next month – how did you cope with the difficult second/third novel? THE PACT is my third novel, not counting the three in the drawer I wrote during the rejection years, and I wrote it very fast indeed. I wanted to look at parenting and social media, real danger vs the perception of danger. In the information age, it appears that our children live in such a dangerous world and yet they have a lot less physical freedom so should, in theory, be safer. Kids don’t fall down wells but they do suffer increasing mental health problems. I wanted to ask if we are protecting our children too much and in so doing, effectively making them less safe, less able to develop those all-important street smarts. Kids are aware of their appearance more than ever before due to the likes of Instagram and Facebook – does this mean we are raising a generation of narcissists for whom appearance is everything? I wanted to look at how difficult it is to parent right now and ask questions about whether our children are in more or less danger than before and how we go about keeping them safe, if indeed we can. THE PACT is about three strong female characters, a mother and her daughter, who live with the mother’s sister. Very soon after beginning the book, I realised that in their alternative family unit, these women formed a triangle, and that it was unclear who lay at the base supporting the one at the top. I still don’t know but what was clear was that it was in this triangle that they found their stability, their strength and ultimately, their redemption. Write. Write your head off. Don’t worry if it’s no good at first, it has no right to be, just keep going. Don’t compare your first efforts to the books you enjoy – what you’re reading is usually the result of about ten years constant work. It is all about the hours you put in. Work makes the writing better and generates ideas. Talent and inspiration are a small part of what it takes. 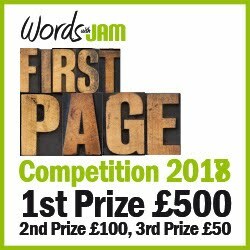 How would you like to see your writing career developing over the next 10 years – what other writing goals would you like to achieve? I would love for my books to be translated all over the world – especially into the languages of countries where I’ve lived. I would love for one of my books to be made into a film or a television drama. I would love simply to be allowed to keep doing this and to have enough time outside the work to be with my family, catch up with my pals and to go to literary events and meet readers. I love meeting readers.